Here's the full video of my latest nanoblock art exhibition in Liang Court mall in Singapore! =D ... See the setup till wee hours of the morning, the crowd who came to see the exhibition, the gathering with fans and more! Thank you so much to all my fans for the fantastic support! It felt awesome to be there! ^^ ... and big thanks to Liang Court's amazing team for pulling it all together! 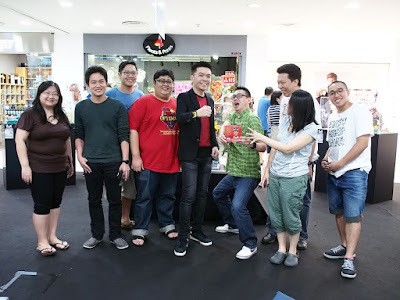 Check out this wonderful write up about the event and the fantastic photos by Dejiki.com!